If your working life is much concerned with a famous person, it’s probably inevitable that you will occasionally dream about them. 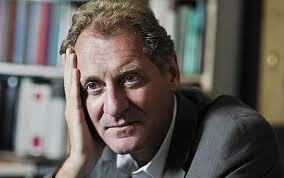 A few years ago at the Dartington Festival, I bumped into Andrew Motion and we spent an evening chatting. Andrew was Laureate at the time, and somehow we got onto the subject of dreams. I asked him if he’d ever dreamed of previous Laureates. Haunted him like a passion. – lines adapted, of course, from ‘Tintern Abbey.’ Andrew later made a poem out of the dream. 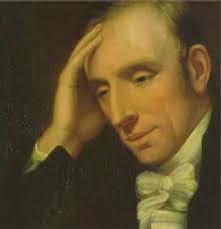 Wordsworth’s reply was: ‘Stanzas Suggested in a Steamboat off St Bee’s Head’ – which, as anyone who’s read their way through Wordsworth will know, is almost certainly his worst, and definitely his most boring poem. To complete a trio of dream encounters, when I was finishing my biography of Thomas De Quincey I dreamed that I met him. And I asked him something that had never crossed my mkind while I was awake: I asked him if he’d read Alice in Wonderland – not a bad question to put to the old opium-eater, I now think. ‘And what did you think of it?’ I asked. And that was that. I’m still wondering what he meant. 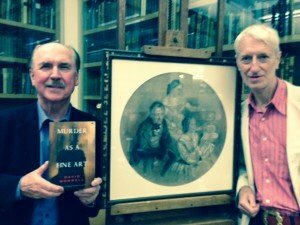 Just back from Grasmere, where the Wordsworth Trust hosted an evening with thriller-writer David Morrell. David (who created the character of JohnRambo in his first novel, aptly titled First Blood, the basis of the Sylvester Stallone movie franchise) recently published Murder as a Fine Art, a serial-killer thriller set in Victorian London, with Thomas De Quincey – the famous ‘Opium-Eater’ – as action hero and detective. 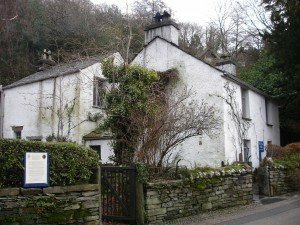 We had great fun presenting an evening ‘in conversation’ between biographer and novelist at the Wordsworth Trust’s Jerwood Centre, just a few yards from Dove Cottage where De Quincey lived and wrote for so many years in the 1820s and ’30s. 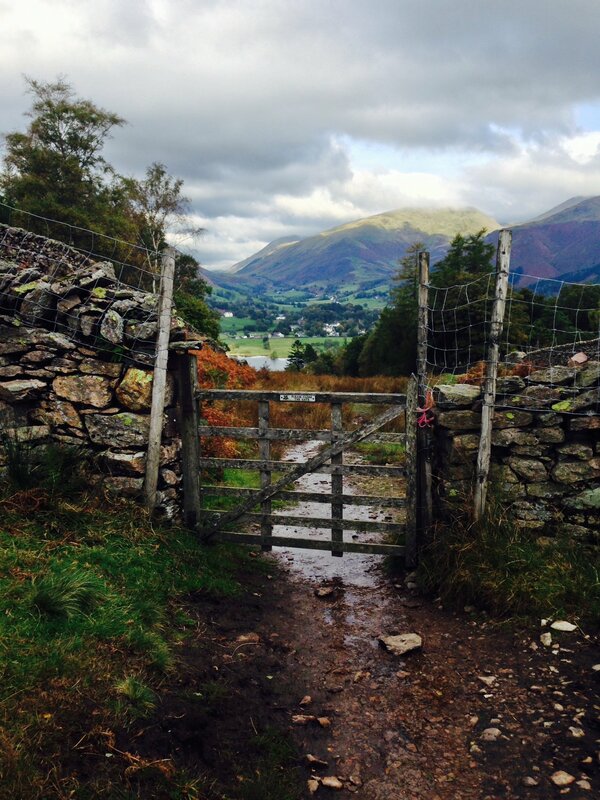 We were also able to spend a day exploring Grasmere and its surroundings. 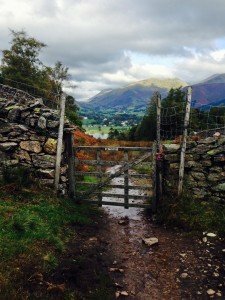 We walked around both lakes – Grasmere and Rydal Water – by way of Loughrigg Terrace, Rydal Cavern, Rydal Mount and the Coffin Path. And the next day David and his wife Donna were able to walk up the fell opposite the village to see the view De Quincey might have had when he first tried to visit Wordsworth in 1806 – walking up from Coniston and gazing across the lake at Dove Cottage, but finding himself too shy to come any closer! Andrew Forster of the Wordsworth Trust also gave us a special tour of Dove Cottage and a viewing of De Quincey and Wordsworth manuscripts at the Jerwood Centre. To find out more about David Morrell’s Murder as a Fine Art, click on the panel below. I went up to Grasmere yesterday: a special occasion. 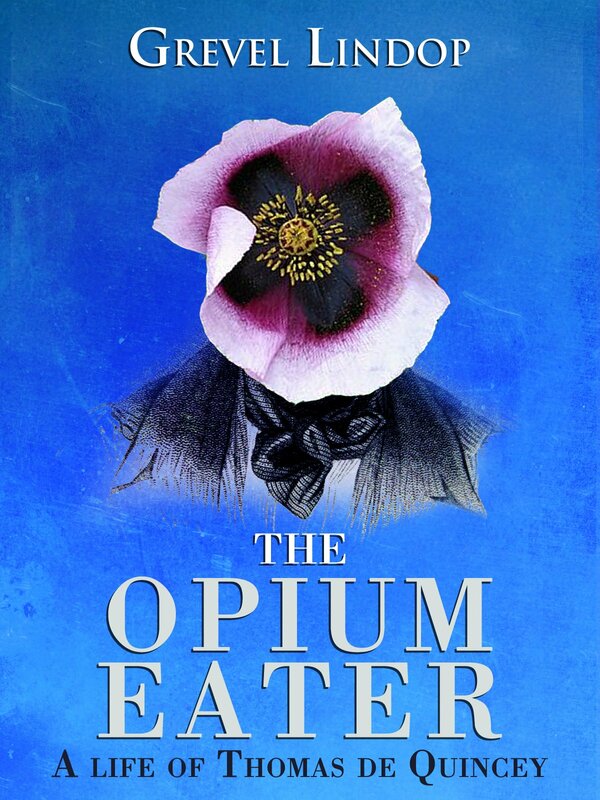 Thomas De Quincey (the ‘English Opium-Eater’) died 150 years ago that day, on December 8 1859. To mark the occasion, and to celebrate the fine new biography of De Quincey by my old friend Robert Morrison, the Wordsworth Trust decided to recreate ‘a winter’s evening at Dove Cottage’ just as De Quincey loved it, and recorded it in his Confessions of an English Opium-Eater: a roaring fire, candlelight, an ‘eternal teapot’ and ‘a decanter of ruby-coloured laudanum’ – though yesterday mulled wine served as a very acceptable substitute. And of course the weather was terrible, just as De Quincey liked it. After all, as he said, why pay for coals and candles if you’re not getting a proper winter for your money? 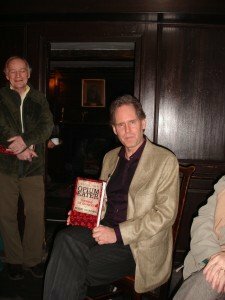 Rob’s biography – the first since my own life of De Quincey came out in 1981 – is a great read, as well-written as you’d expect from a scholar of De Quincey, one of the best-ever prose stylists. 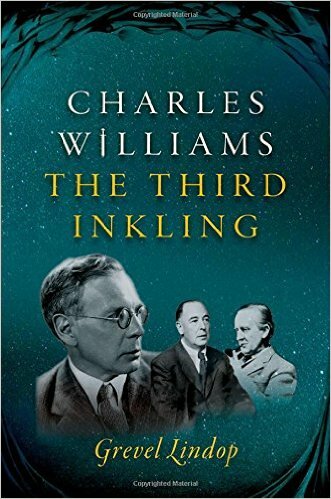 And it’s packed with new information about the extraordinary life of England’s most famous literary drug addict. I’ll slot in a link to the book right here: it’s highly recommended. Ideal Christmas present, in fact. A new life of De Quincey was much-needed because when Rob and I and nine other editors researched our 21-volume edition of De Quincey’s complete Works in 2000-3, we dug up so much new information that I knew my biography was now out of date. Rob took on the job and has produced an amazingly fresh story full of insights that even I never dreamed of. Rob and I discussed De Quincey – his addiction, his dreams, his wonderful writing, his phenomenal memory, his part in the making of modern literary biography, and many other aspects – with a moving crowd of around a hundred people in those candlelit cottage rooms where De Quincey lived and wrote, where he met Wordsworth for the first time, and where he dreamed of (or did he really meet?) the terrifying Malay addict who so unexpectedly knocked at his door one day. If you were there, I hope you enjoyed it all. If you missed it, you can still catch Rob, when he gives the Bindman Lecture, ‘Thomas De Quincey and the Lake District’, at the Wordsworth Trust on Saturday 12 December at 3 pm. See www.wordsworth.org.uk for details. Afterwards I dropped in for tea and mince pies with some old friends, Tim Melling and Liz Cooper at Nab Cottage, Rydal, where De Quincey courted Margaret Simpson, the beautiful daughter of a local farmer. Nab Cottage, a fine traditional Lakeland farmhouse on the shore of Rydal Water, is now a B&B and language school ( www.rydalwater.com and www.nabcottage.com ). They told me that during the recent floods they had water coming under the door (the house is right between the lake and the slopes of the fell with consequent water runoff) but it didn’t get serious and everything is now fine. Though it was pelting with rain outside as we talked! 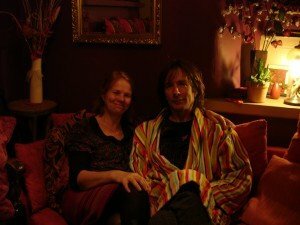 Tim and Liz relax in the 'Opium Den': once De Quincey's writing space? desk, and since De Quincey owned the place briefly in the 1820s he may well have written there. 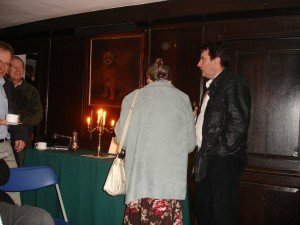 Tim and Liz keep the room decorated as an ‘Opium Den’ in his memory. They also got out their copy of the fascinating game Transformation which they tell me originated at Findhorn. Although it’s a board game it seems to provide real-life challenges and counselling for players, and they tell me it can actually change the lives of people who play it. I wasn’t able to stay long enough to play it (Liz tells me she has trained as a ‘facilitator’ to play the game in enhanced mode with people who seriously want to transform!) but I heard enough to want to give it a try. I’m putting a link in, but this is not an arbitrary plug because I am buying this myself. I delight in any spiritual/psychological/divination-type thing, and this one looks really good . If anyone out there has played Transformation and can write a comment about it, please get in touch; I’d love to hear from you!